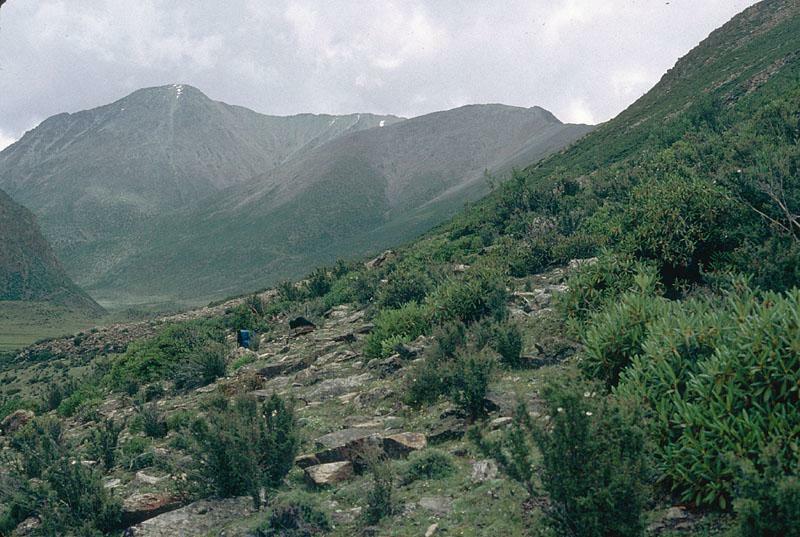 Xizang (Tibet):Baxoi Xian. Anjiu La (pass), N of Rawu (Raog) on road (highway 318) to Baxoi (Paksho). Grazed slopes with Juniperus, Rhododendron, Salix and Potentilla glabra. 29°40'22"N, 96°46'41"E; 4480-4650 m.